Literally nothing about the new The Mummy reboot inspires any kind of excitement or even the slightest bit of interest resembling the one afforded to its late 90s predecessor. With its barely intelligible messy and overly wordy screenplay and a below par performance from its principle star, I think it’s safe to say that this new reincarnation of a well loved classic, will go down as one of the worst blockbuster of the summer, even if it manages to perform well at the box office. 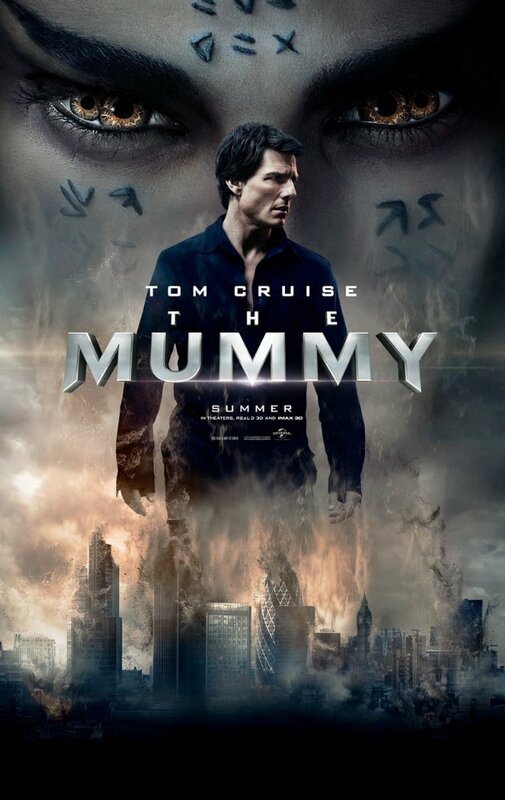 Staring Tom Cruise and Directed by Alex Kurtzman, The Mummy pretty much fails on all accounts, but is almost saved by an incredible performance by the brilliant Safia Boutella, who could single-handedly be credited for breaking the curse of this utterly shambolic production. Nick Morton (Tom Cruise) is a duplicitous thief and raider of ancient artifacts who finds himself embroiled in a civil war in the middle-eastern desert whilst searching for what he believes to be a buried treasure. Hot on his trail is Egyptologist and ancient historian Jenny Halsey (Annabelle Wallis) who is determined to stop him getting his hands on the booty. The two find themselves having to close ranks when evil is unleashed in the form of evil Mummy Ahmanet (Boutella). Things are further complicated by the introduction of a ludicrously convoluted subplot featuring Russell Crowe as Dr. Henry Jekyll (of Jekyll and Hyde fame), add to that the usual actions filled tropes and clichés, and you’re left with a confused and overly long narrative that is sure to have you reaching for your watch to check how much more of this nonsense you're expected to endure. Cruise, who like it or not, is usually in his element in these big action thrillers, is somewhat left with very little to do. Wallis is not wholly convincing as his love interest but by far the best and most impressive performance comes from Boutella who puts in a genuinely exhilarating turn, putting the rest of the cast to shame. On the whole, The Mummy is a watchable, yet thoroughly disappointing reboot which literally no one asked for and which should have been left alone. The scares are just not scary enough and the action is barely worth mentioning. A huge let down. Crew Director: Alex Kurtzman. Screenplay: David Koepp, Christopher McQuarrie, Dylan Kussman. Camera (color, widescreen): Ben Seresin. Editors: Gina Hirsch, Paul Hirsch, Andrew Mondshein. Cast Tom Cruise, Sofia Boutella, Annabelle Wallis, Russell Crowe, Jake Johnson, Courtney B. Vance, Marwan Kenzari, Simon Atherton, Stephen Thompson. The Mummy is out today.